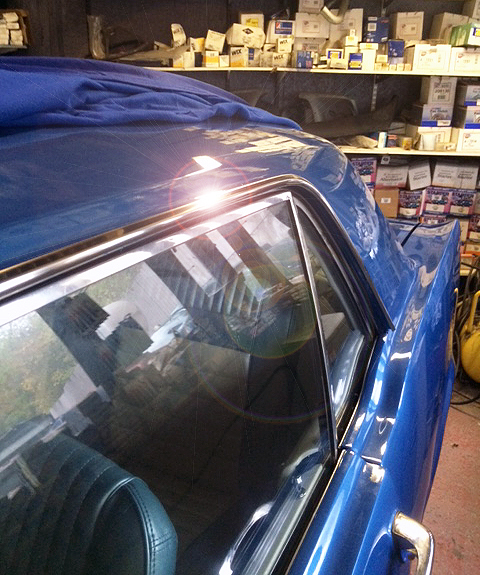 The car is tantalising close to being finished. The weekly trip to Mustang Maniac seemed to be an age away, but soon came round. There is a little bit of urgency in the air now to get my car finished or as close to finished as we can possibly get it. The car needs to have a road test, once the guys are happy with that then we can get the door cards on and handles put on. Why the rush? Simple reason – my car will be on show in the Birmingham NEC Exhibition Halls at the “Lancaster Insurance Classic Motor Show”, 13th – 15th November 2015. For more details about the show click here or cut and paste the link below. I am so excited I can’t begin to tell you just how much. 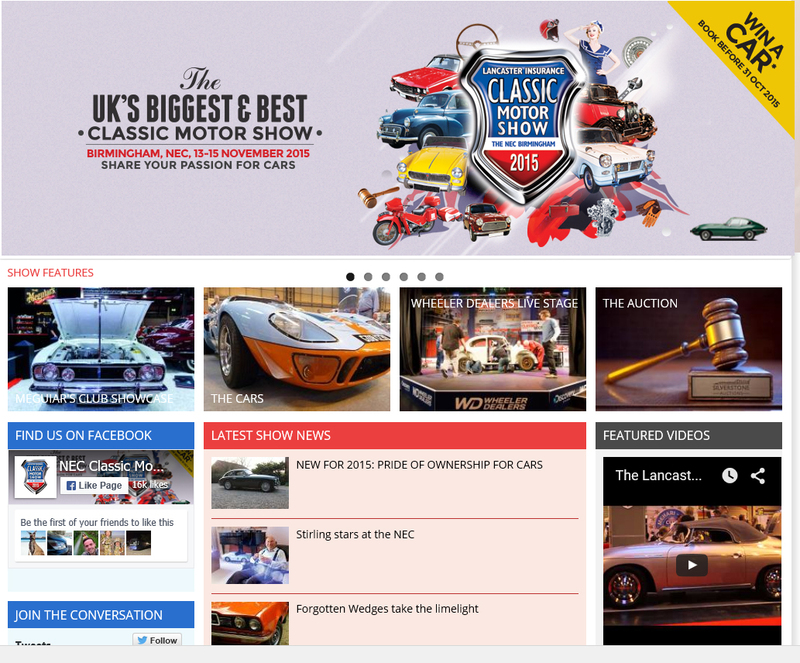 This show IS the biggest Classic Car show in the UK, and I will debut my car there. Over four years of hard work and I get to show my little lady off to the public there. I will be there for all of the three days with the car, so please pop by and say hello, I may even give you one of my little business cards, if you’re lucky. After all, I really don’t want to be there on my own Billy “No Mates” style as they say! The Birmingham NEC exhibition site is a huge place and there will be hundreds of stands, auto jumble and Car Clubs with their cars on show. (Did I mention how excited I am?) But, I must say I’m not expecting to be judged and I’m not expecting any recognition for my car at all, it’s not going there for that reason. I will be using this car for my enjoyment and not be a “trailer queen” as so many of these old cars from all makes tend to be these days. Oh, the only time I won’t be with my car is when I have a look around at the other cars myself. I shall be there with a mate of mine to keep me company. It was time to put some of the missing bling back on the car now. I had help to do this bit as you need an extra pair of hands to hold and guide the sill mouldings in place. We, that’s Paul, Sam and myself made a good team to fit them in place and no damage reported either as so often is the case with these mouldings. The mouldings are clipped over the riveted brackets from last week and it all snapped into place. We had to drill my last brackets onto the front fenders and aligned up correctly, I won’t deny it, beads of sweat were running down my face as I started to drill my nice fresh metal and paint job. What if I slipped? I was carefull, very carefull should we say! There is a threaded stud at each end that goes through the rear quarter and the front wing to stop the moulding slipping out sideways. The mouldings are delicate and subject to being bent so you have to take great care when fitting these. The end of the day left Paul and myself to fit the seat belts. These are dead simple and is a single bolt each side of the side of the seat. The only trouble was the carpet, Dynamat and sound proofing material all covered the holes, we knew roughly where they should be, but not the exact points. So we had to what can only be described as excavating with our fingers and tiny awls to locate the correct positions of the bolt holes. We carefully cut the carpet and used a cone cutter to make the hole big enough to get the seat belt anchor bolts correctly and safely in place. It took time as we didn’t want to leave marks all over the carpet. Now I had choices of colours of belts, dark blue, light blue, white, red etc. But I went for the standard push button black to match the centre console. Now some of the consoles are coloured the same as the interior seats. The gauges are in black as is the glove box, aircon unit and centre console. I didn’t want near enough shades of colour and not quite matching the seats effect, I think that would have looked a little odd and better going for the contrast. I tried the white belts and they were a very clean white and not the dulled down cream look of the centre of the seats and the head liner. The other choice was the style of buckle, I didn’t fancy the real blingy “Pony” logo on the belts and they just didn’t seem to look right, if that makes sense. So I went for the more correct (understated) period look for the time. Below you can see the bolts in place and a close up of the belt. Did I make the right choice? I think I did as I still like them looking at the photo’s again today. On another note, a while ago I posted about my radio that had been updated to use modern technology that still looks retro and old. I had somebody email me a question if I knew anybody who could help with modern Fords and SYNC apps? I didn’t know, so as I was intrigued I started searching around and found this good little site called “Sync My Ride” with Ford App Sync instructions. This is a site where you can create an account for your Ford SYNC and keep your apps updated. There is all sorts of support and help on there. Hope that helps a bit for you modern Ford guys out there. 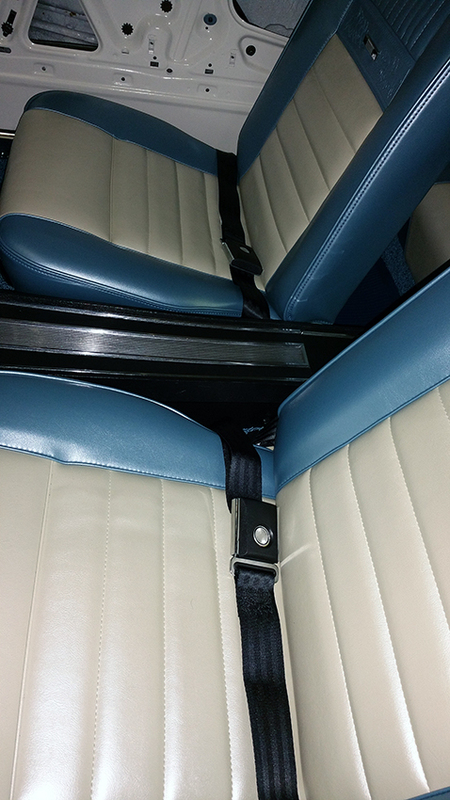 This entry was posted in Car, General and tagged Birmingham NEC, classic car show, mouldings, Mustang, Mustang Maniac, One man and his Mustang, seat belts, stainless steel. Bookmark the permalink. I am going to be on the Mustang Owners Club Of GB stand. I hope to catch up with you guys there. Belts look fine in black although I’m surprised they are not 3 points? I know they would not be in keeping with the age of the car but I’ve upgraded my old Land Rovers to use modern 3 point interia reel belts just for safety. Was it too tricky to install them in the mustang? or did you just want to keep it original? Thanks, it a long time to decide on the belts believe it or not. I seriously thought about 3 point belts and they are a bit of a pain based on where they would have to be mounted, although I have seen it done. But, I decided to keep it as original as possible too. Thanks. I’m looking forward to the show and finishing the car. I hope to take plenty of pictures too.